V-MAXX Autosport offer a comprehensive and up to date range of progressive rate sport spring kits with many lowering options, to give your car superb handling and appearance. All springs are made of quality chrome silicon steel, shot peened, zinc phosphated, and powder coated to offer optimum corrosion protection and long life. 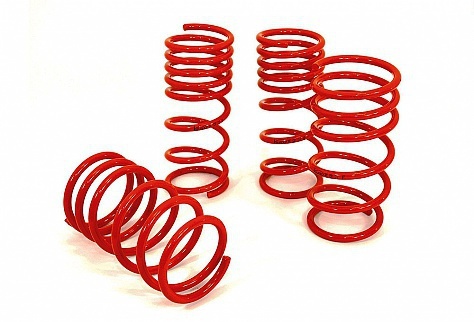 Most springs are German TüV approved and come with a 2 year warranty.